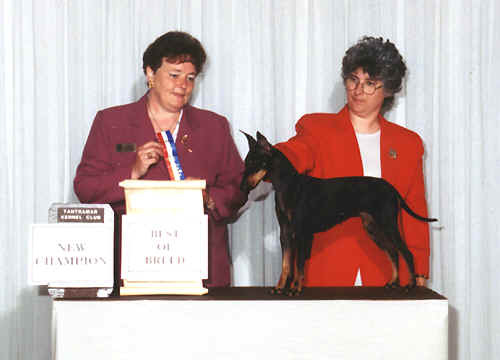 Shown for the first time as a special after obtaining her Canadian Championship, KT grabs two Terrier Group Firsts at the Abegweit Kennel Club show under Jack Kearley and Fred Gordon. Wilane Kennels continues to produce top winning Standard Manchesters that excel in type and temperament!! All Wilane dogs are DNA tested for vWD and are CLEAR! !